Ever wonder why our SunShine State is not the Solar State? Why we didn’t go solar years ago, back in the 70’s? Why we are being pushed by our elected officials into being the nuclear state even though we have so much exposure to oceans, large ocean currents and fresh water systems through our direct runoff? I sure have? And I have noticed that most all tropical areas are 3rd world and could never afford to develop solar yet would be the most helped by it. Wondered why the charitable Christians of Florida haven’t demanded it as opposed to supporting such a massive influx of uneducated disillusioned Hispanics from these same tropics? Miami doesn’t have that many jobs, no industry and with the exportation of Florida’s agriculture and fruit industry ~ I can’t understand our official’s logic or planning at all? Florida should be leading the world in solar yet northern countries like Finland and Germany are? Florida has twice the natural solar of Tennessee and north Texas! We have no major industry other than the marketing of our sunshine to a collapsed tourist industry. Are tee shirts and hats sales a good thing to base our Florida future on? Federal welfare? As compared to other states and countries, Florida has very high energy costs. Our officials say that this is because our power is “brought in”. Huh? Sunshine is free, natural and clean not to mention very available here. So what’s up ~ besides the sun ~ in Florida??? Florida is massively affected by solar. Plastics break down in weeks. Things dry in minutes. Few roofing shingles get to live their whole life here. Paint is it’s own field of science in Florida! We’ve been used to develop all kinds of paints and stuff for tropical environments yet where is any positive development for us? Our state tax money is used against us. Florida federal money seems to only support bridges and roads to nowhere. Things might look up it we just look up, huh? We have a massive ball of fusion energy raining Life all down around us. Yet we fight it with our plastics, paints and insulations. 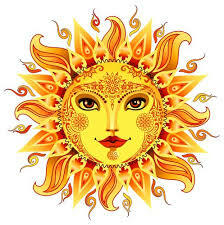 Our ancient natives worshiped sunshine and used it to empower every aspect of their life. Their entire life was solar powered. Their home and building, fiber clothes and agriculture, their roads and trade. Tampa, meaning cigar, was a resort in Mound Builder times to where ancient rich Tennessee and Ohio folk would walk in cold winters and hang out on the beach in our sunshine paying large amounts of money/stuff. They would rent huts and have huge parties for the whole winter staying very drunk, gambling and eating tons of fresh seafood while, of coarse smoking some of finest cigars ever produced on Earth. There were no drug laws and many forms of amphetamines were plentiful. The Southeastern Native Americans of today say Cuba has no cigars, only floor sweepings, and that they miss their resort! That we are missing out, in that, some of the finest melons, vegetables and fruits ever produced in North America are being forgotten. Natives had not only very Florida adapted agriculture but aquaculture that made use of our intense solar to raise many crops underwater in our massive beautiful bays and fresh waters. What if we had never exported an orange, grapefruit or lemon seed? Sold our seafood or vegetables/fruit only locally and prepared? What if we concentrated on absolute quality? These ancient natives were quite rich and famous people in their time. We can still empower Nature into incredible gardens. Garden in our lakes and bays. Not just take from them and destroy! We can utilize the sun to dominate and produce everything we need in Life. We can lift and desalinate salt water to a point to of gravity flow and have a sun pump, by evaporation. We can dry with sun and wind anything yet we have a massive freshwater system running the length of our state that is being wasted. Our fire, our water, our earth, our air, so pure, so abundant. No place like our paradise! Could we be the greatest fresh and salt water growing area in the world, naturally? SunShine based? How do we get over the money system and let our SunShine do the work? It’s easy. It’s patients. Free if you think small scale! Why are we pumping all these electrons on all these expense copper electric wires for thousands of miles? TVA power, from Tennessee, goes to New York and Canada ~ the federal government selling our Tennessee water resources to another country! Alaska’s natural resources supply power to sunny California by wire! Alaskan oil goes to Japan! Why not tap into the huge flow right outside your window? It’s there whether you use it or not! Just a few minutes ago, in a massive helium fusion ball not far from here, somebody named Particle got to hot, like a match constantly striking, where light jumps out and stuff gets stuff hot. This little photon, Particle, jumps outta our sun, hits your nose and burns it. It travels in an absolute straight line unless we turn it with like a mirror or a wire. You can use the heat or the particle or both. It’s good to remember that all is one and that everything is all the same thing in psysics. We can change particles/stuff around to the way we want it using all kinds of gadgets and wires but ALWAYS remembering that the original direct heat and light of the sun might be all you really need for your project. It is always the cheapest, most efficient and most logical but usually requires patients AND since patience is a virtue... Many different systems have been devised to play with our wave particles coming outta our sun and those electrons produced by spinning magnets (generators). It all really begins with Al Jazira and the Persians. The Persians had spent centuries collecting soil and water knowledge being particularly concerned with the energy of water transport, pumps and irrigation. When the Moslems brought down the Persian empire it was like the Christian take over of Rome and the start of the Dark Ages of Europe. All knowledge and science was fixin’ to be replaced with religion and inquisition. Well, this one little clever guy decided to write down the knowledge/science of the Persian empire. He was a devoted Moslem, of course, or he would have been put to death so it all ended up being deemed an inspiration from Allah of truth. Everything we know of as science, our education system, math, physics, astronomy to astrology came from the Persians by way of the Greeks basically from Al ga Zaria’s 3 books. This truth from Allah by way of his science prophet, Al jaZira, is where the Arab news network got its name. All the other Arab cultures in Asia and the Middle East consider Al jaZira the writer of the wisdom of all the Persian/Arab cultures, a uniter. These 3 books are very complete with drawings and examples, very simple to understand. This is the basis of most all contraptions. Few were actually developed by European culture. I recommend this as the only source for design research and project analysis. Water driven systems were his passion. Tesla’s passion was particle driven systems. If one can consider Al geZira’s water flow the same things as Tesla’s particle flow we can continue. Nikola Tesla was Romanian born of a genius inventor mother. Being victim of patriarchal oppression and the sexism of her time she empowered her son to come to the United States to develop not only everything for which Thomas Edison is famous but AC electricity, basic application of DC electricity, radio, radar, sonar, lazars and a boat load of thing that have not been developed in our culture. Tesla’s main interest concern was stored lightning energy in rock formations and natural earth high voltage flows ~ natural power sources. He, like Al geZira, is an ancient master one might focus on. A Tesla student understands that when one of our sun particles hits something, the something gets hot or knocks another particle around with exactly the same strength. We can play with that something and find it’s patterns. Electrons will run down a copper wire quite happily. Lead cyanide in silicon will get hot in sunshine and an electron will get hot and jump off AND run down a wire quite happily. That is what a photoelectric solar panel does. Many panels are cheap, some expensive. Small and large. What do you want? You want small and cheap! Try and get a feel for DC and think small, at least, until you get a feel for what “solar” really is. I recommend getting a very small panel ($100 for 10 watt), a small light or fan ($5) and a small battery ($12). I got a solar gate battery on sale at Tractor Supply for $10. Their solar cattle waterers are great. Get something you can move around and play with easily. Get in your game or puzzle mode. AC ~ DC is just like a simple children’s puzzle. Never stress! AC electricity is like a pottery bowl or porciline cup. DC electricity is like clay, the clay you would make the pottery bowl or cup from. All AC is 120 volts pumped right out your wall socket at 60 cycles per seconds (Hertz) with nice special plugs for 220 volts, European voltage, high amperage, etc. There is a lot more freedom in DC and with just alittle understanding, one can play with it, making most anything you want. DC is divided up into 6 volt increments. That’s just because someone else started it that way and it caught on. No other reason. Design your system as you choose remembering that all “store bought” DC products are on this 6 volt grid pattern. Most DC voltages are approximations. Due to it’s ‘raw” nature, it fluctuates, so it‘s really kinda silly to get real crazy with a small systems. Like when the sun goes behind a cloud and my sprinkler pressure drops. It doesn’t shut off, it just pumps the water at a lower height and less far, lower water pressure due to less sunshine. Let’s go back to our hot photon jumping outta the sun and hitting something ~ let’s say our 10 watt solar panel. On a cloudy day some photons hit it and they make a few electrons move down our wire. We can measure it with a cheap voltage meter from Lowe’s and it says 5 watts. Then the sun comes out and our voltage meter reads 10 watts. Then it gets July in Florida and our voltage meter now reads 15 watts. Since most panel wattages are calculated using places like Ohio or Germany‘s solar intensity, we get a natural sunshine boost by living so far south. Their summer is like our winter in terms of simple calculations. Most of the high quality systems from Finland and Germany are quite under rated for Florida. Say some Floridian wants to dry something. Look outside. Is the sun out? One can use a cheap concave mirror or a magnifying glass to concentrate the solar heat for things as intense as cooking and frying thereby avoiding everything between the skillet and the sun ~ all the wires and fossil fuels. No stove, just a pan, pan support and a cheap concave make-up mirror recycled from a garage sale! But say the baby is crying. You don’t wanna breast fed and can’t take her outside into the healthy sunshine. One can use a very ineffentient system of panels, batteries, controllers, inverters, converters, rectifiers, wires, plugs and gadgets to heat some milk. Or say you simply forget to make candles from the stored sun’s energy in palm oil, soybean oil, bees wax or paraffin (fossil fuel) and need to see to go to your composting pottie at midnight. We can still use our sunshine, no problem. We can build our panel system and our storage system to power whatever size lights we want. Electron flow, just like water flow, is additive. If we duct tape 2 water hoses together then one has exactly twice the amount of water flowing out, twice your volume, same pressure. Run the 2 hoses together into the same size hose with a fitting and one has twice the pressure on the same amount of water, doubling the pressure. Say we put a flow divider on the end of our watering hose and hooks 2 hoses to it. We would get half the pressure and volume in each hose. Now we have 2 new 12 volt photoelectric solar panels that are rated to produce at 100 watts each. Let’s hook them together. By the way we hook them together we can have 200 watts of 12 volts or 100 watts of 24 volts. Watts are like gallons of water or volume. Volts are like pressure, pounds per square inch (PSI), or delivery rate pressure. So things works such that we can connect them together like our taped together water hoses, or in parallel, to get 100 watts (gallons) at 12 volts (PSI ) to become twice the amount shock with 100 W at 12 V. DC is very easy! In parallel, hook all the positive (red) wires together in one point and hook all the negative (black) wires together in another point, the voltage become additive ~ 12 V + 12 V = 24 V while our wattage stays the same. In series is connecting them end to end. We have the same 2 panels rated at 100 watts (gallons) at 12 volts (PSI). Connect them with our positive (red) wires connected one to the end of the next panels, red wire to red wire, end to end, one at the time. We hook the negative wires, one panel the next, one at the time, end to end as well. Our wattage becomes additive ~ 100 W + 100 W = 200 W while our voltage stays the same. This gives us twice the amount of 12 V power or twice the time to run our 12 V gadget. You can run two gadgets for the same amount of time, let’s say one light for twice as long or 2 lights for half the time. In parrelle, we could run twice as bright a light. In series, twice as long a time. One can continue to hook up DC panels in parallel or in series to produce the intensity and/or volume of electrons you desire. Designing a system using both in parallel and in series panels/batteries can create any voltage or wattage anywhere we want in our system. We can charge at one rate and use at another. We can tap into our 96 V system anywhere we want for a 12 V system. We can use directly from our panels without storage or from storage. Panels are 5% efficient at their very best. Battery storage is 75% efficient with new high quality batteries. If one can’t use the sun directly then direct panel/source is best. Storage as it exist today is silly, a waste of money, energy and time. Energy storage is usually limited to batteries in most people’s minds. Batteries are inefficient and loose storage ability quickly. One wire them up exactly like we did the panels. This is technology left over from the Dark Ages of Europe and not to mention is horribly dangerous to use. The production is nasty polluting with it‘s lead, acids and toxic leftovers. Golf cart batteries are our current standard with Trojan manufacturing 2 different qualities, red and black. The red ones are the highest quality on the market and last, if you are lucky, 5 years. The black ones become inefficient faster and last around 3 years. Trojan is a US manufacturer with a vested interest in the US economy. Walmart has come out with one similar to the Trojan black battery which have a 3 month warranty. They are manufactured in China where Walmart has a vested interest in communism and Chinese slavery. Battery prices are going up rapidly due to the price of metals/lead and the fall of the US dollar. Solar is expensive and folks are trying to do to it what they did to the auto industry. We still use the engine and drive train technology of the 1880’s, just with nicer seats, windshield wipers, fancier sheet metal and catalytic converters. It was junked up, not improved. Because of this attitude, alternative energy people are devising their own means of storage. I recommend using the energy and saving it somehow through a produced product. I run water with my spare energy and water/raise shiitake mushrooms. I water a garden and fruit trees, as well. I had rather have nice oranges and pommergrantites than sell my very expensive solar back to the corrupt utilities who just promote carelessness and polluting fossil fuels, anyway. What they buy for pennies on your dollar they resell for very high prices. Selling power back to the evil grid seems like a scam to me unless, of course, one is a snow bird forced to pay the minimum power charge even in times of no use. Selling back then will avoid the minimum monthly charge ($16). One will never recover the price of a system by selling back to a power company and one must sell back to the get the government rebates. Seems like a utilities scam aimed at getting folks to invest alotta money developing a technology and an industry to produces power for them to sell at massively inflated prices. Nothing good will come off the energy we sell them. Alternative energy storage system are a very hot topic right now. Gravel beds are being heated by air flow for recoverable heat storage. Heating water and hot water systems, like using circulating evaporative heating for homes is working. Using 2 direction DC air pumps and filling air tanks seems clean and doesn’t loose heat like water over time. Air is free, light and easily transportable. Folks are using old water heaters and old large pressure tanks. Solar drying and solar dryers are good utilization. Use it, don’t loose it ~ it only works if you work it! When wanting to design a more long term and dependable system we will want to look at controlling the amount of electrons going into our storage system or we could over charge our batteries ruining them or maybe burning something up. A controller will monitor the outflow from your collection system and is best put between your collector system and your storage system. They will protect from surges like from lightning and shorts or shut off when your storage system is charged. Many are cheap and work very well for years. This is not the place to invest a lot of your $$$ but it is the 1st thing to buy when one wants to go off of direct solar. Converters and inverters are what to next consideration. Say you want to access your 48 volt water system to start a dead 12 volt car system because someone had left the lights on. To take power out of a system use a inverter and to add electrons to a system use an converter. Inverters take electricity from an electrical system and change it from DC to AC for use. Many are available for hooking to a car battery for camping or hooking in a cigarette lighter for running computers and cell phone. Most inverters invert 12 or 24 volts to 120 “house current“. Nice ones can improve the quality of your wave form. These are expensive and very sensitive to change. Converters add or build energy up like a car battery charger. Cheap ones are cheap but handy to move around. Nice ones are big and best mounted in place. A converter usually charges at 6, 12 or 24 volts. Lawn tractor and motor cycles are 6 volts, cars are 12 volts with military and large equipment (tractors) use 24 volts. Most inverts plugs into a wall socket charge a car battery at 2 amps, 6 amps or 20 amps. Some can be adjusted to 6, 12 or 24 volt. Now daze, companies aren’t sure what to do with us. DC and solar things don’t have just identity. To find these in a store, look in the generator section, the computer section, lawn & garden and automotive sections. Expensive RV stores and camping stores have much neat stuff as does outdoor lightning and sprinkler stores (waterproof). Backwoods Solar is the best source I’ve found for info and products (www.backwoodssolar.com). They are have very high quality selling the cutting edge from all over the world. Excellent people to help you who really have used and understand their products. Many other places like Alternative Solar sell tons of cheap Chinese junk, much of which is really cool (www.alternativesolar.com). Sticking with Backwoods for your main necessary products, like pumps and panels, might be wise in the long run. However, with alternative energy growing and advancing at a fast rate, much of what we have today will become obsolete quickly. Investing for the long term might mean a system that can change and upgrade often. One might want a system that is not focused on one point like some large controller for anticipated growth. One might want several small systems with great flexibility, powering different things individually as opposed to one large system running everything like a power station. DC looses it’s energy over wires very fast. I have 3 separate systems. One 12 volt system on my camper ~ 1 small panel and 2 red Trojan batteries. Another small panel with 2 red Trojan batteries run a 12 volt system in my shed powering my computer, lights and toys. A larger 24 volt system is supplying my power station and water. I have 2 x 125 W nice panels from Finland and 4 red Trojan batteries. Mainly, I try to find a way to use direct solar ~ hang my clothes to dry in the glorious magical incredible Florida SunShine and BE HEALTHY! Off the grid electricity and solar power are one of the most reliable energy technologies. While no one can be totally self-sufficient we can all become more self-reliant. We can have enough food for our needs and the needs of those we love, we can also make plans to have the equipment necessary to generate power should the grid go down for a short period or collapse completely. Should the city lights go out forever, a home already powered entirely by solar electricity would be in a great position to continue life as usual. The catch is that modern homes consume, on average 20-30 kilowatt hours a day! Whereas an off grid home can consume as little as a few hundred watt hours a day to less than 10 kilowatts hours a day. Costs associated with systems this size range from a couple of thousand dollars to $30,000-$40,000 for the larger system. If your home is currently tied to the grid and you haven’t stopped to think about the inexpensive energy that is always available, your first step is to take a look at your last energy bill. Wherever it falls in the range of 30 Kwh/day to over 1000 Kwh/day the problem is the cost to make the conversion. Homes need to be built with propane as the workhorse for most heating and cooling chores. Dryers, ranges and water heaters need to be gas based, fridges and freezers can be propane or solar powered and there are costs and benefits associated with either option. Air conditioning can be done with solar, but it requires an ultra efficient air conditioner and plenty of solar panels. If the system is designed right, you will have extra solar in the summer when the air conditioning is needed. 12 Volts, 24 Volts, or 48 Volts for your System? 12 volts is simplest and most standard, used in vehicles, RV, and boats. If you want a small simple power system, 12 volts will probably be easiest. You can use 12 volt DC directly in very small systems, adding 120 volt AC with an inverter. 24 volts battery systems have some technical advantage. If you think you will have more than 500 watts of solar modules, consider 24 volts. If you are using 12 volt solar modules, 24 volt wires can run longer distances. Consider using larger, higher voltage solar modules with an MPPT charge control. Most of your power will be changed to 120 volt AC power. Voltage converters are available to run 12 volt DC equipment from 24 volt batteries. 48 volts has great advantage if a longer wire run is unavoidable to reach a wind or hydro turbine. Larger more powerful inverters are available in 48 volt. The best advantage is larger system capacity. 48 volt battery banks can have fewer strings . Fewer strings mean more even charging and discharging of batteries. Charge control capacity is doubled from 24 volt. 4 times that of a 12v battery bank! Voltage converters are available to run 12 or 24 volt DC equipment from 48 volt batteries. MPPT charge controls can charge a 12, 24 or 48 volt battery from a higher voltage solar array. With these, power systems of any battery voltage can reach longer distances to place solar modules in the best sun location. Separate Components or a Power Center? A prefabricated power center is the other choice to decide on at the outset. This costs a little more than separate hardware and components of equal quality, but can save as much in cost of design and installation. You get a clean, safe electric system with just 3 components in the power room: inverter/standby charger, a power center with charge control , and the batteries. A power center may be the only way to pass your local building code inspection. Consider your long term goals. Separate components are suitable for smaller systems, and may allow budgeting for an additional solar module. But where you will be adding on, increasing the power of your system over the years, a power center approach is safer, neater, makes expansion easy, and passes building and electrical codes. Let's begin finding the right size and cost for your power system. The exact sizing of solar is not terribly risky, since solar modules can be added any time, and since a backup generator can supplement charging if there is a shortfall. There is some flexibility because the power you receive varies with the sunshine of each year and with seasonal changes in weather. Your own flexibility in energy usage, plus use of a backup generator allows you to adapt to temporary shortages, while the automatic charge control manages any overproduction. We caution against the temptation to start with generator, batteries and inverter, but postpone solar modules until later. If you can, start with enough solar modules required to do the job, since this is where most of your power originates. If budget requires, perhaps start with half or a third of the panels and add the rest in subsequent years. This will help avoid battery problems and save many generator hours. Solar charging is what made home power systems practical! Solar power is modular. When the family grows or the cabin becomes a full time home, you add more solar modules. If you need to upgrade a charge control or AC inverter. But two things are more permanent decisions: choice of battery voltage, and selection of a Powercenter. Consider your long term objective in making these decisions.